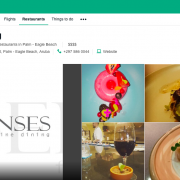 “Senses is the latest in chef driven menus/restaurants in Aruba. We’ve been to the others in Aruba several times and this is another winner. Food was both very creative and tasteful. We enjoy being surprised with new courses and combinations of food that we would have never thought of – an incredible evening for the tastebuds!. They only seat 16 people per night so it’s imperative to make reservations well in advance. Fun night meeting and talking to the other guests between courses discussing the food and the wine, too. If you love food and trying new creative dishes this is your place!” Link to original review on TripAdvisor: A Culinary Feast! “We had a fabulous experience at Senses during our stay in Aruba. It’s a tasting experience of 5-8 courses, available for only 16 guests each evening. We have a number of dietary restrictions, and when we reached out to explain prior to reserving, we were pretty sure they would be unable to accommodate us, but we were dead wrong! For the courses that needed adjustment, we were as delighted with our creations as the other guests were with theirs. When we arrived, we were greeted by Sebastian, our delightful and attentive host. After we were seated at the circular bar to enjoy our own private cooking show, we met Chef Kelt, a culinary artist extraordinaire. Every dish gets close attention, and he takes meticulous care to ensure the look and taste are exceptional. Everything was delicious, especially the truly unique desserts! We will return any time we visit Aruba. Worth every cent!” Link to original review on TripAdvisor: Far surpassed our expectations! 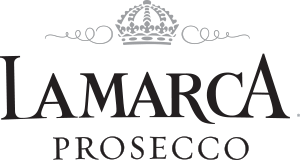 “First time I have ever experienced this type of dining experience and my wife and I had a fantastic time. Bas Kruisselbrink and Kelt Hugo Maat did an excellent job entertaining us and preparing our delicious 8 course meal. The wine pairing was excellent also. It is just a unique experience and one that we will repeat the next time we go to Aruba.” Link to original review on TripAdvisor: A unique and fun experience! “Each bite brought another gasp of amazement. The 8 courses were perfectly paired with wine from across the globe. This was our first ‘table’ experience, but the bar has been set tremendously high. Chef Kelt and host Bas are approachable and genuine. If you’re looking for an unforgettable experience, make this a must on your visit to Aruba.” Link to original review on TripAdvisor: A-Maz-Ing!. Wow! “On our annual trek to the world’s most beautiful beach in Aruba, we always take a night out for a special treat, dinner at the tasting menu restaurant at Bucuti Beach Resort. This trip, we found that the Carte Blanche restaurant had moved from this venue and had been replaced by Senses Fine Dining restaurant. Executive Chef Kelt Hugo Maat and Maitre D` Bas (Sebastian) Kruisselbrink have continued the model created by Carte Blanche Chef Dennis and Maitre D’ Glen in the same space, serving only a limited number of guests at each seating at a bar surrounding and overlooking the kitchen for a very personal, face-to-face experience. A tasting menu of 5 to 8 courses (explained as 5 traditional courses plus some extras) is prepared while the guests watch and try to guess what is involved. The Chef then explains each course in detail after the food is placed in front of you and the Maitre D’ describes the accompanying wine (if you elect the wine pairing). Although this restaurant is only 3 weeks old, we knew we were in for an interesting experience when, after being welcomed with a glass of Prosecco, we were presented with an amuse bouche consisting of a large, perfectly spherical ‘cherry’ that had been created by enveloping a ‘marble’ of foie gras in a coating of cherry gelatin. “How does he do that?” was heard from most of the guests. Our mouths were very amused by the unexpected textures and wonderful flavors! Our first course of local red snapper had been prepared sous vide with a layer of olive tamponade replacing the skin, and the rendered and dried skin was added back to the composition as a crispy ‘chip’. The pairing with a Salvestrin Napa valley Sauvignon Blanc was delightful. The second course of lobster ravioli was plated over cubes of fennel root topped with a creamy chardonnay sauce, decorated with fennel blossoms, dill, and nasturtiums, and paired well with a 2015 Napa Valley chardonnay from Rutherford Ranch. A complex roll of chicken meat with pistachio nuts was cooked to perfection sous vide and topped with a glistening, extreme reduction of chicken stock, and accompanied by a small pile of ‘snow’ sprinkled with spinach leaves. The ‘snow’ turned out to be a pure white concoction of desiccated and powdered bacon! After this delight we were given a granité au citron palate cleanser and invited to take a break. Once again the Chef’s skill with sous vide cooking emerged with melt-in-your-mouth short ribs plated over fingerling potatoes in a bed of puréed peas, lapped with a beef bone reduction sauce and accompanied by a 2014 Melée Granache red from Tuck Beckstoffer of Oakville California. The desert course was actually two; a flower pot filled with intense chocolate mousse and a berry mousse ‘doughnut’ decorated with a desiccated strawberry ‘chip’, berries and flowers. Both were paired with a Taylor Fladgate First Estate Reserve Porto. Overall, the food reflected that modern blend of traditional French cooking (e.g., hours long reductions for sauces) combined with the newest ‘molecular’ methods of cooking (e.g., sous vide and freeze drying) to tickle all your senses, not just your taste buds. Perhaps that’s why the restaurant is called SENSES? For a three-week-old restaurant, this one tasted like success, so reservations will become harder to get quickly as its reputation becomes viral. The meal was unhurried, with plenty of time to talk to other guests and the Chef and his Maitre D’. Although I am sure I have forgotten some details and misidentified some components because the menu is not published, I and my companions left with very full stomachs, totally sated palates, and plans to do it all over again next year!” Link to original review on TripAdvisor: New Challenger for Best Tasting Menu Restaurant on Aruba! Now that you’ve had chance to hear what people are saying about SENSES Fine Dining, isn’t it time for you to experience it for yourself? Book your reservation online at our website or call us at +297 586-0044.